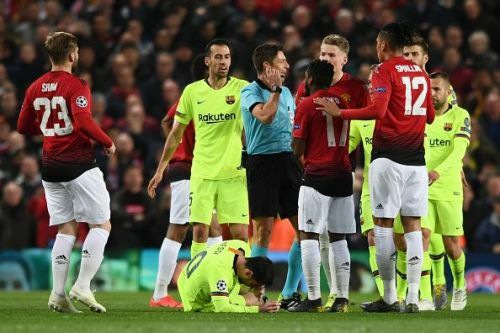 Manchester United will travel to Spain to take on FC Barcelona at the Camp Nou in the second leg of their Champions League quarterfinal on Tuesday night. The Red Devils will head into the game with a 1-0 deficit, courtesy of Luke Shaw's own-goal at Old Trafford. But there is no saying which way the winds will blow on Tuesday. Ole Gunnar Solskjaer is upbeat about his team's chances, while Ernesto Valverde rested several of his key players in La Liga during the weekend in preparation for United's visit. We pick out three key battles that you cannot afford to miss on Tuesday. 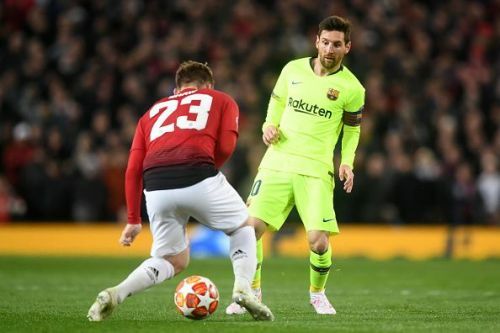 The Lionel Messi-Chris Smalling duel in the first leg of the quarter-final clash between Manchester United and Barcelona at Old Trafford was riveting to watch. Smalling, who is not considered to be among the best central defenders in the business, was an unlikely hero for the Red Devils as he put off every attack coming from the diminutive Argentinian and cramped him for space. Messi, however, is one of the best players in the world for a reason and is sure to work out a way to counter Smalling in the second leg in Camp Nou. However, the former Fulham man's heart and desire to put up a fight may well come up trumps for him in the end. 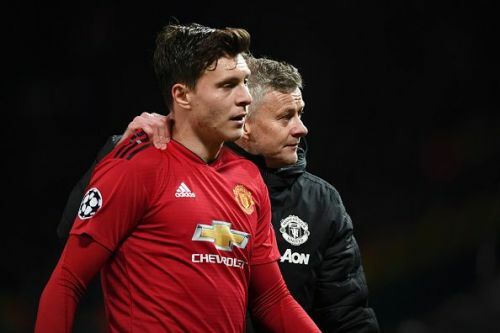 Victor Lindelof has emerged to become, by far, the best central defender that Manchester United currently have in their ranks. He was brilliant against Barcelona in the first leg and is more than likely to put up an equally good performance on Tuesday. The Swede is technically strong and can cut into the through balls fed by Barcelona's attackers. Luis Suarez, whose shot got deflected off Luke Shaw to creep into the net in the first leg, is a first-rate goal-poacher and can make the best of defenders look foolish. He will be aiming to get a few goals under his belt in the familiar conditions of the Camp Nou. Manchester United's Belgian centre-forward Romelu Lukaku has been decent in the Premier League so far and will be keen on leaving his mark in the Champions League as well. 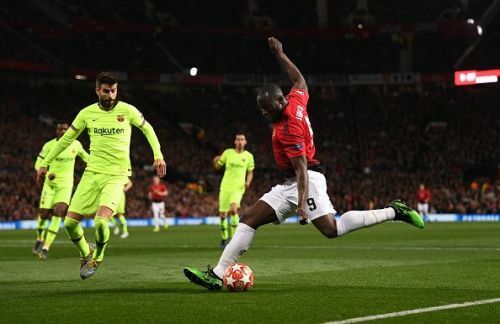 In the first leg encounter of the quarter-final, he was closely marked by former United man and Spanish centre-back Gerard Pique at Old Trafford. But Lukaku will be looking to break free and make those free-flowing runs of his at the Camp Nou. Pique is the leader of Barcelona's defence and will have to inspire his team if they are to progress to the semi-finals of the Champions League for the first time in four seasons. He is one of the best central defenders in the world at the moment.